A beautifully phrased novel that will leave you considering what it is to be 'good', 'evil', and the motivating intent behind them both. Full of characters that will stick in your head for weeks, Victor Vale shines through - though readers are left to decide just who is the hero and who is the villain. 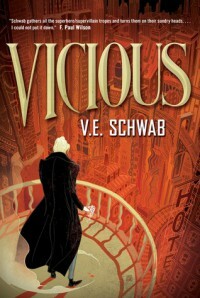 Fast-paced, full of action and heart, VICIOUS is a must-have.